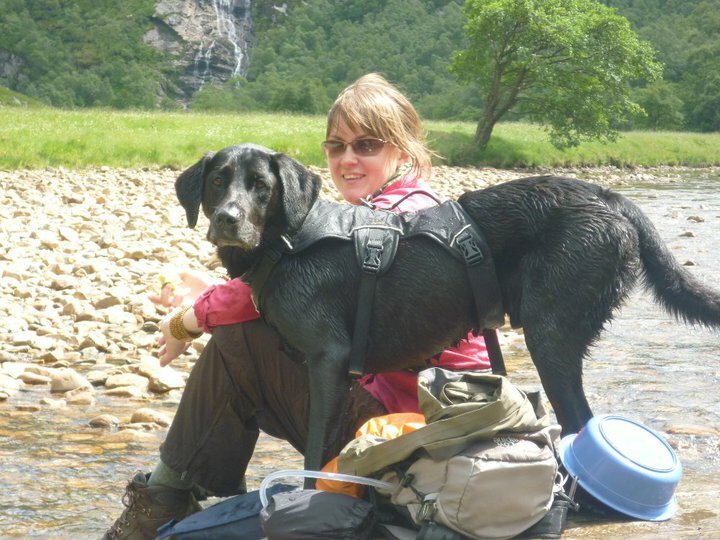 We first purchased two of these harnesses in black a few years ago when we were on holiday in The Lake District and Scotland. 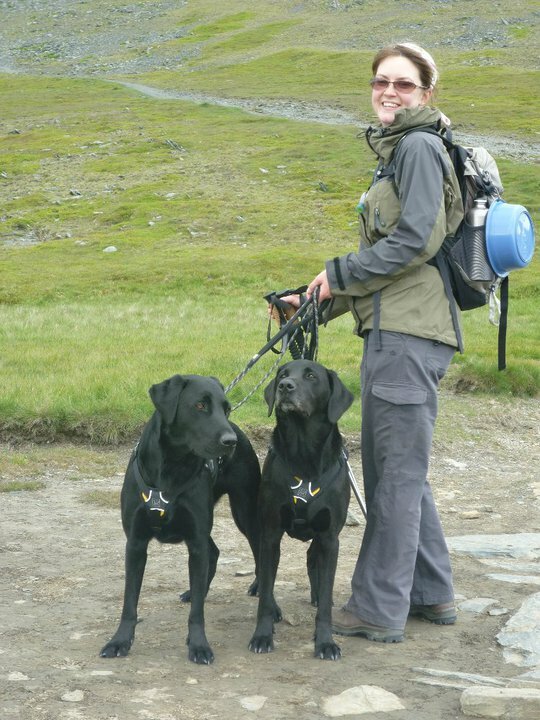 We intended to do a lot of fell walking that holiday with our two Labradors and wanted an alternative to a flat collar. Hendrix & Otis are both ‘Chasers’, so we needed good control as there are a LOT of sheep in The Lake District! We purchased two medium harnesses which we tried on them in the shop to ensure they were a good fit. They were very easy to put on and adjust and appeared comfortable, with padding in all the right places to ensure nothing rubbed when the dogs were in action. The harness fastens with two sturdy push fasteners, once fitted correctly they are no worries about your dog getting out of them. The fit of the Webmaster is secure and at no time did we feel that they could remove them. 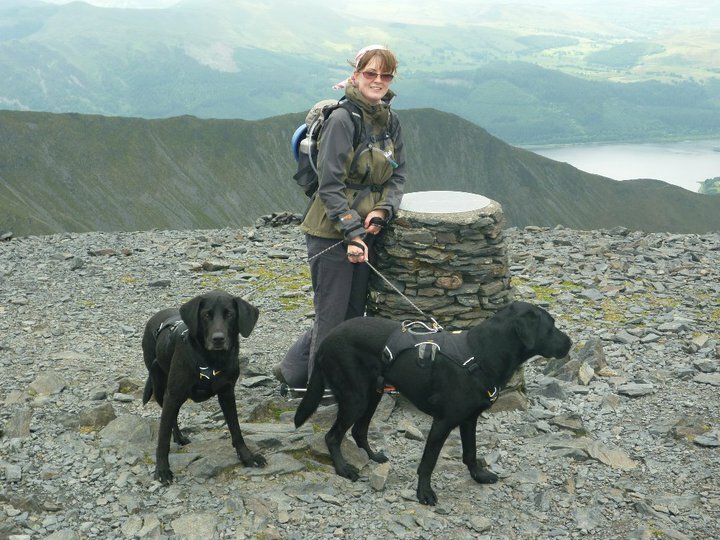 The harness has one D-ring located on the back for you to attach a lead and has a handle in the centre of the back, which comes in handy for holding them close if you need to. We also used the handle to help us when we reached a stile that had been stock-proofed and had no way of getting a large dog through. We used the handle to lift the dogs over the stile safely (looked like a very big dog shaped handbag :)).This was much easier than trying to lift a 30Kg+ dog in your arms! 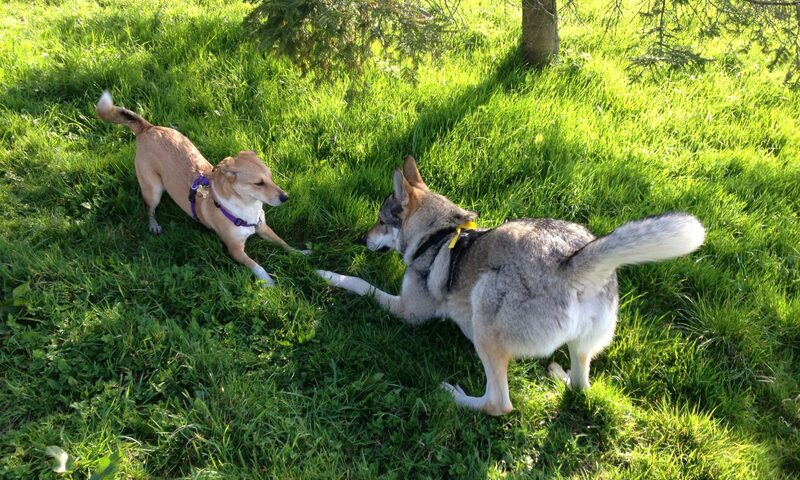 When Tuchena joined our family we bought her a medium Webmaster harness (in red, because she is a girl!) and she is very happy in it. 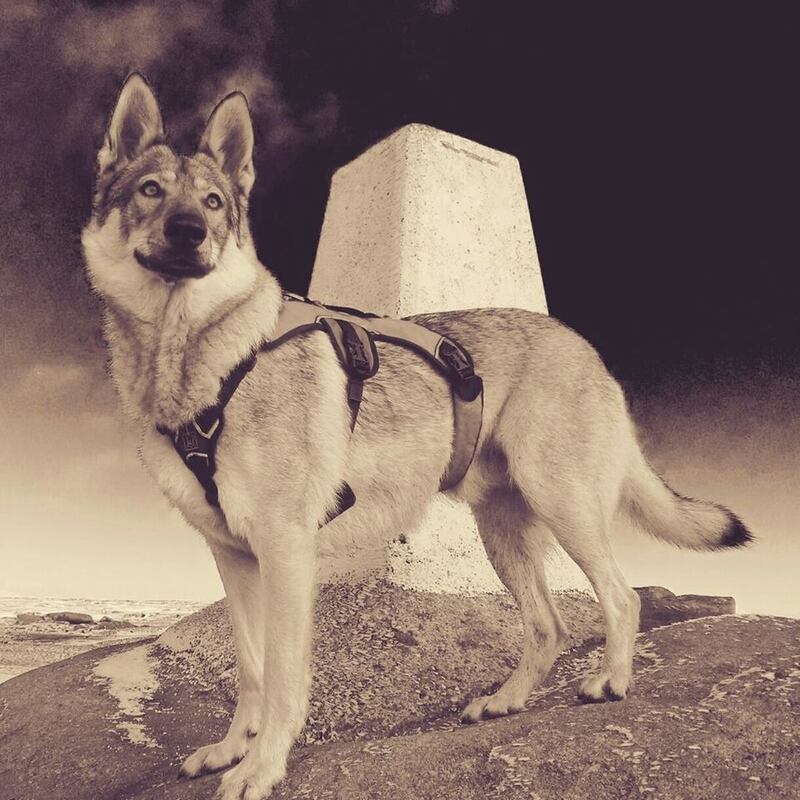 We have walked her in the Peak District in it and we know she is safe. 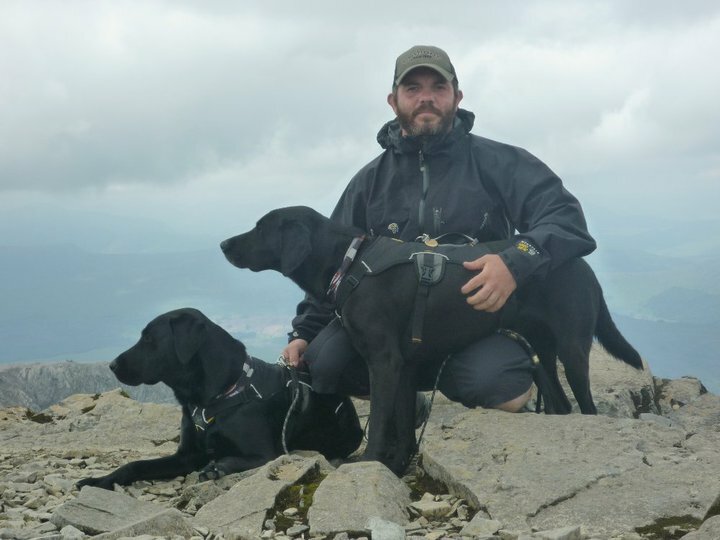 In conjunction with the webmaster harness we use the Ruffwear Knot-a-Leash which fixes to the D-ring with a locking carribiner that has a max weight of 1100Kg. I think it is safe to say that I feel pretty confident that my dogs are safe and comfortable when using these two products together and would recommend them happily. Zephyr doesn’t have a Webmaster Harness……….yet!